On the 23rd of June 2016, Britain shocked the world when it voted to leave the European Union. A little over two years on, with not much progress achieved, many professionals are feeling uncertain on how the departure will impact their business. The construction industry are seemingly anticipating a significant change to their work after Britain leaves the EU – and not for the better. In fact, only 15% of professionals working in construction voted to leave the European Union. With construction accounting for 10% of total UK employment, making the necessary preparations for a post-brexit era is imperative both for the industry – and the entire UK. Despite negotiations continuing to take place, it seems increasingly likely that leaving the EU will restrict the free movement of both people and goods. Both of these restrictions will likely see a significant impact on the construction industry. Currently, a large amount of labour in construction comes from skilled, foreign workers. Restricting free movement from EU countries into Britain will result in a substantial shortening of skill supply. In addition, tools and products needed within construction will be costly and more difficult to obtain. Aside from this affecting the quality and efficiency of service, it is very likely that this will result in increased costs and inflated housing prices. Higher housing prices would cause a shockwave to be felt all across the UK; especially for young people who are already struggling to buy a house in the current economic climate. How is the construction industry preparing for Brexit? 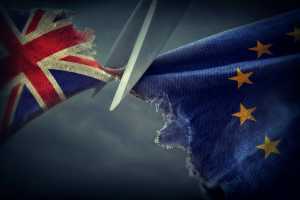 The government announced that Brexit would include a 21 month transitional period after Britain formally leaves the EU in March 2019. This gives a deadline for companies to make the necessary changes to their business by the end of 2020. The construction industry must use this time wisely by investing in the future. With skilled labour forecast to decrease, construction leaders must look at investing heavily in apprenticeships and schemes to improve the skill level of future UK workers. This will mitigate issues resulting from lack of skill, such as efficiency and service reductions. Despite looking to build skillful workers, the construction industry is also making sure it has a back-up plan in place to combat these reductions in service and efficiency. They are revising agreements with contractors to ensure that they do not suffer any penalties as a result of not hitting deadlines or targets. This will help the industry to stabilise and not continue to suffer a chain of problems as a result of penalties. Foresight is important. To reduce any potential risks of injury in the workplace, construction businesses will be looking to revise their risk management assessments to accommodate for an influx of less skillful workers. Less skillful workers means less knowledge and awareness around a construction site. With materials set to become more costly to obtain, construction businesses will be looking to have a reserve supplier in place. This is due to the possibility of their primary supplier going out of business or raising prices too high. Understanding the potential operational requirements will be key to preparing for the shortage of construction materials due to Brexit. At Concrete Drilling Services LTD, we’re prepared for any challenges we may face as a result of Brexit. Our reliable and fully accredited team are constantly determined to provide the best quality drilling solutions for you. To find out more, please contact our team.